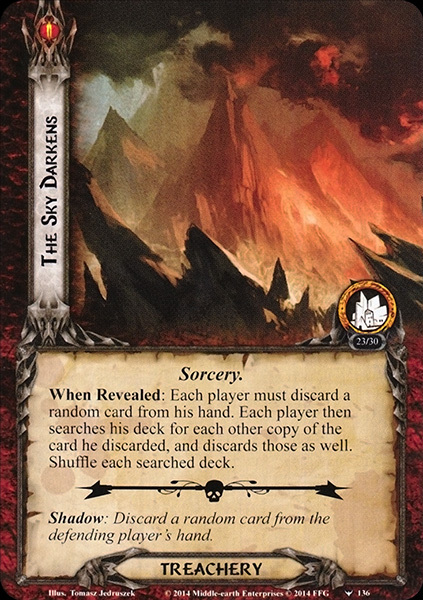 When Revealed: Each player must discard a random card from his hand. Each player then searces his deck for each other copy of the card he discarded, and discards those as well. Shuffle each searched deck. Shadow: Discard a random card from the defending player's hand.